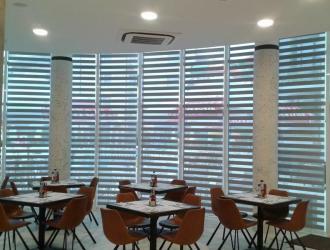 Arexim Garden is a manufacturer of Zebra roller blinds. 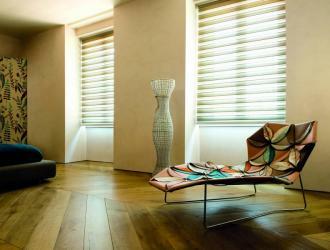 Zebra roller blinds are suitable for living-room, kitchen, bedroom, restaurant, office, hotel. Lovers of modern style can choose the functional model of Zebra textile roller blinds which allows achieving the "day and night" effect with a single mechanism. The double layer of fabric with transparent and non-transparent stripes is perfect for adjusting light and privacy.